African tourism industry has undergone rapid growth for it’s unparalleled nature and unique wild life over the last several centuries. And the Middle East is not lagging behind. This has mainly been due to the start of a ‘borderless’ world and increased information dissemination about the majestic African and Middle East treasures throughout the world. Geographically Egypt is a country linking northeast Africa with the Middle East, dates to the time of the pharaohs,a transcontinental region centered on Western Asia and Egypt in North Africa. As one of the top tour operators in Egypt , the Nile Holiday , based in Khaled ibn Al Walid street, Luxor, Egypt, registered with Egyptian Travel Agents Association. And EHA, Egyptian Hotel Association, has been increasing the volume and value of tourism in Egypt displaying the best treasures of the country like the Millennia-old monuments sitting along the fertile Nile River Valley, Giza’s colossal Pyramids and Great Sphinx including Luxor’s hieroglyph-lined Karnak Temple and Valley of the Kings tombs. 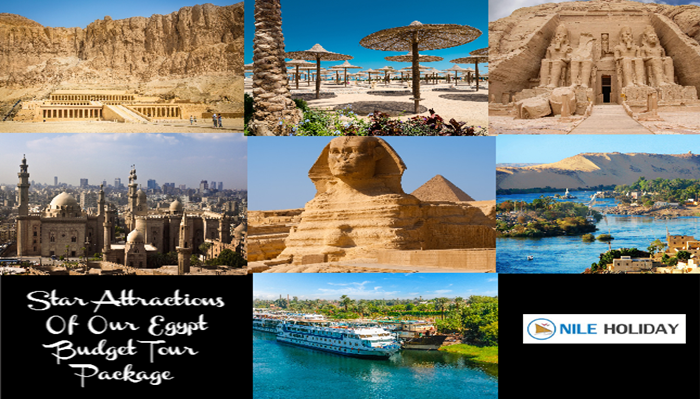 It has been offering excellent Tour Packages on Egypt Nile Cruises, day tours, Egypt city breaks, desert safari and many other ancient sightseeing destinations in Egypt with affordable Egypt airport transfer facility. Experiencing Egypt with us is like turning your dreams true. Our work boosts Egypt’s appeal as a tourism destination, improving its ranking in the eyes of international travellers that help to drag thousands of millions of customers to this arid land which contributes a major share to the Egyptian economy. Digital is the heart of our marketing. Both internationally and domestically –By offering world-class services we have established ourselves as a pioneer in the tourism industry in this land of desert and mountains. 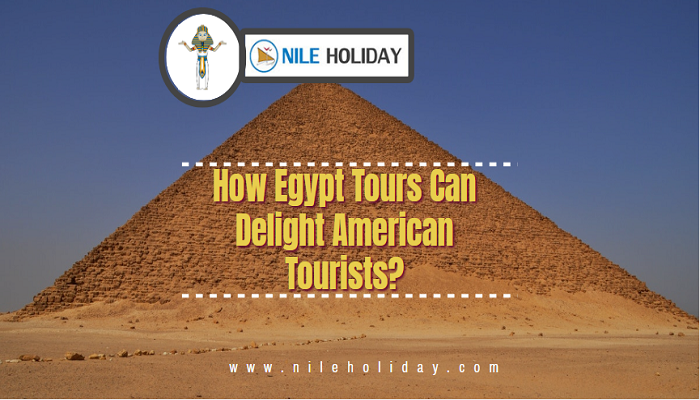 Nile Holiday, one of the top tour operators in Egypt that offers great deal on Egypt Tour packages. Egypt Nile Cruises, day tours, Egypt city breaks, desert safari and many other ancient sightseeing destinations in Egypt. Our Egypt private tours are absolutely customizable to give you a unique travel experience. We also offer affordable Egypt airport transfer facility that will take you to your hotel or anywhere you stay in a breeze. Powered by Hathor travel which was established in 1996, company of trust, with large number of passionate travel specialists. Hathor Travel is a member of ETTA, Egyptian Travel Agents Association. And EHA, Egyptian Hotel Association Nile Holiday committed to excellent travel services, combining our energy and enthusiasm with years of experience. Our greatest satisfaction comes in serving large numbers of satisfied clients who have experienced the joys and inspiration of travel. To give every customer, partner and employee the power to create and share ideas and information instantly, without barriers. We always try to leave a print of Egyptian beauty in the mind and soul of the customer as a permanent source of joy.